By the time Wisconsin gained statehood in 1848, it was already well on its way to becoming a major brewing center. Eight years prior to statehood, the Lake Brewery in Milwaukee began brewing traditional English ales and porters. While these styles were well loved among the English, their sweet taste and murky color were not what the German’s called beer. Within a year, the Germans would get their beer, when a German immigrant named Reuthlisberger founded the lager beer industry in Milwaukee, setting the course of the city for years to come. Around 1844, the first big wave of German immigrants started migrating to the United States, with many of them settling in region that would become Wisconsin. One of the newly transplanted was Jacob Best. Prior to coming across the Atlantic, Jacob ran a small brewery in Germany, so when he arrived in Wisconsin, he picked up right where he left off by founding the Empire Brewery which later became the Pabst Brewing Company. Quickly, other beer barons with names like Schlitz and Blatz also set up shop brewing lager, making the city Milwaukee synonymous with the word beer. Along with the their love of lager, the German immigrants also brought another facet of home with them, the beer garden, a gathering place for all. One of the most famous beer gardens not only in Milwaukee, but in the entire United States at one point in time, was the Schlitz Palm Garden. Opened in 1896, The Schlitz Garden, built when “The Beer That Made Milwaukee Famous” was sweeping the land, quickly became a major tourist attraction for the city, including a visit from Woodrow Wilson on his first presidential nomination campaign. While the German’s were busying putting their own mark on Milwaukee with the introduction of lager beer and beer gardens, there was a steadily growing temperance movement sweeping across the U.S., and within Wisconsin, that would bring about another, much resisted, change to the city. However, even with flagrant disregard of the law in many parts of the state, Prohibition still made its mark. Just one year into Prohibition, the Schlitz Garden closed, ending a 25 year run of the most successful beer garden in the United States. Once prohibition ended, the major players bounced back and regained their foothold, quickly regaining their leading positions of producers of beer in the country. While Wisconsin was once the home to many major national breweries, things appear to be different these days, as we were only able to get our hands on one craft brewery here in Massachusetts for this weeks tasting: Lakefront Brewery. 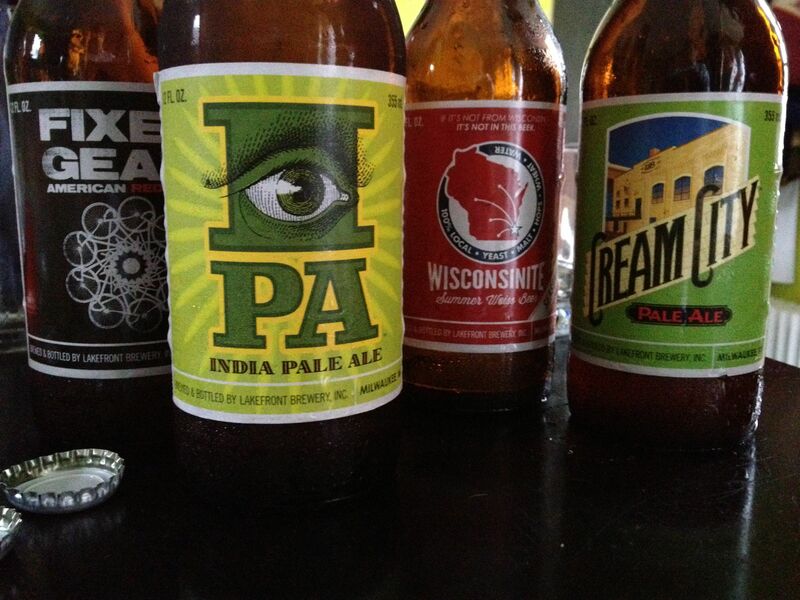 From Lakefront Brewery, we tried 5 different styles. We opened the Fixed Gear, an American Red Ale, to start the evening. This beer had a deep red color when poured in the glass. The taste was caramel, with a slightly bitter aftertaste. Nothing off putting at all. This beer won two awards, The Regional Champion at the Winter U.S. Beer Tasting Championship and the Silver Medal at the Los Angels International Commercial Beer Competition, and I am not surprised. This was a nice, solid beer and I would drink it again. 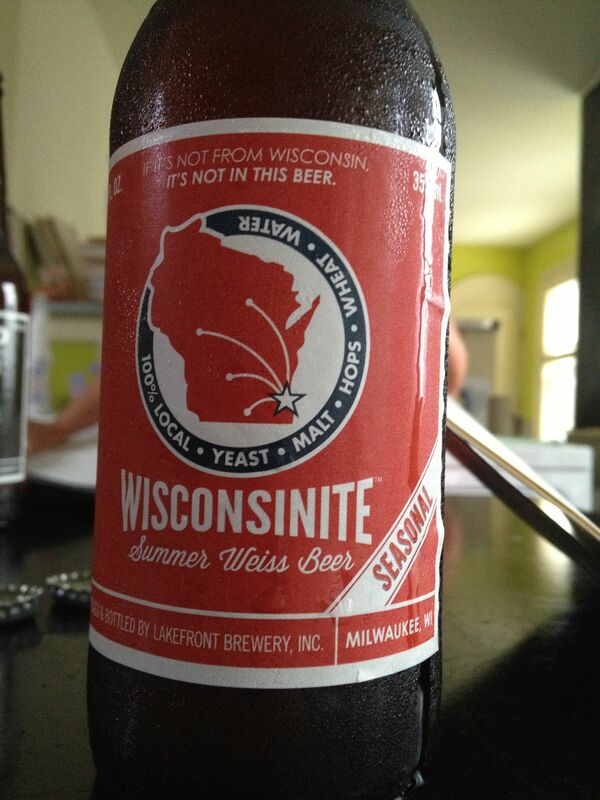 After the Fixed Gear, we opened the Wisconsinite, a summer Weiss. The concept of this beer, brewed with 100 percent Wisconsin grown ingredients intrigued me. This is an idea I have always been curious about, can a beer have a sense of place? Do the locally grown ingredients give the beer a regional taste that can not be reproduced when using the same ingredients in a different area. In wine and coffee, this is referred to as terroir, and the debate still carries on about terroir in beer. In the glass, this beer was a light golden color. The aroma had a slight banana characteristic, which is expected in a hefeweizen. The aroma stems from the yeast used to brew the beer which produces the same esters found in bananas. When drank, this beer didn’t really have anything that made it standout. No flavors jumped out at me, and I was left wanting of a description. This beer reminded me of a session beer, and with its 4.4 ABV, it meets the criteria. While not a bad beer, it was just not loaded with the flavors that we have often encountered over the past year, but as a session beer, I could handle a few of these. Our next beer was the Cream City Pale Ale. Milwaukee is nicknamed the Cream City for the cream colored bricks used as a common building material in the area. The color of this beer was golden honey (not cream! ), and the beer had a slightly bitter aftertaste. Other than that, there were no other descriptives I could come up with for this beer. 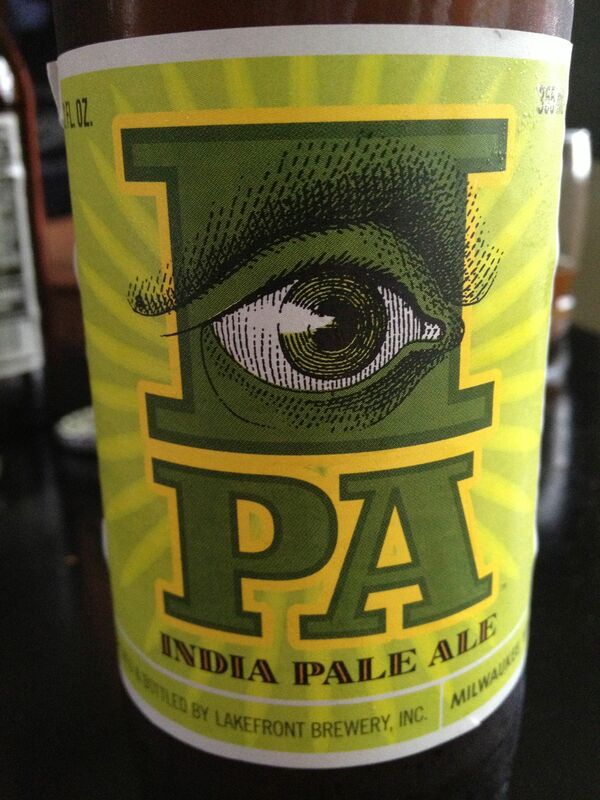 Finishing up the Cream City, we moved to the IPA and followed that with the IBA. The IPA, while not emitting much of a smell, had that nice, enjoyable bitter taste expected in an IPA. I felt the carbonation of this beer overpowered the ability to get any aroma from it, otherwise, this was a typical, good IPA. The IBA (Black IPA) was a nice, roasted dark color and wasn’t as bitter as the IPA. With its roasted tastes and bitter hops, this was my favorite beer of the night. In the end, I enjoyed the Fixed Gear and the IBA the best. The others were fine, but they seemed lacking in character and didn’t have the uniqueness that some of the beers we have encountered on this journey have exhibited. Overall, another successful week was had putting us at 136 beers from 30 states in 30 weeks. Next week, California. Thanks for reading.